Spain – population 46 million – with 53 million visitors. That’s quite a tourism business for them. Not to worry as the world seems ready to travel more than ever. 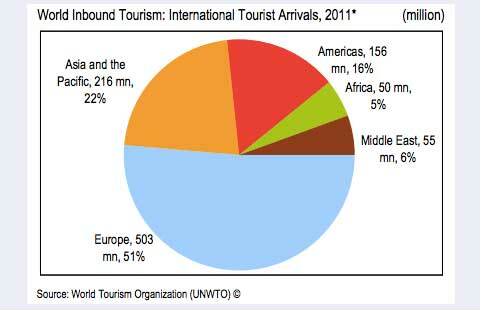 Sometime this year we will set a record with 1 billion international tourists, and the graph below shows that at least half of them are heading to Europe! The numbers for the rankings come from 2010 data.